Since Rousseau’s Garden will be a combination of raised beds and SIPs, we can’t truthfully say that we’ve “broken ground.” Let us just say that we’ve finally made progress on construction! 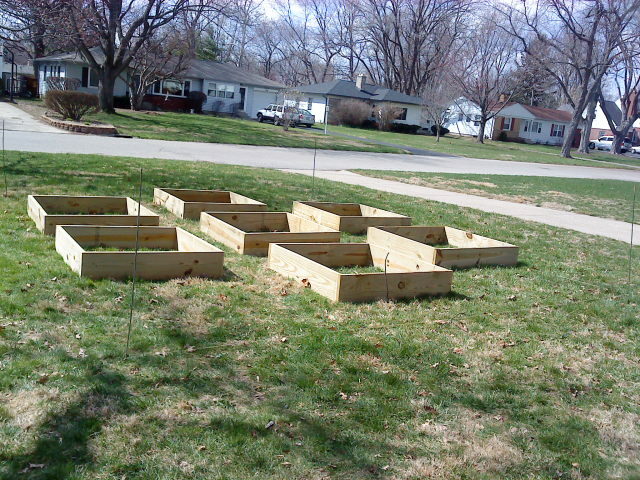 My manly man built all seven raised beds and even started the enclosure in one day. We’ve had a few questions — neighbors, our son’s bus driver — and all positive reactions. The next big step is to go and get a truckload of compost. Then we can line the beds, set up the sub-irrigation systems, fill the beds, transfer starts and plant seeds. 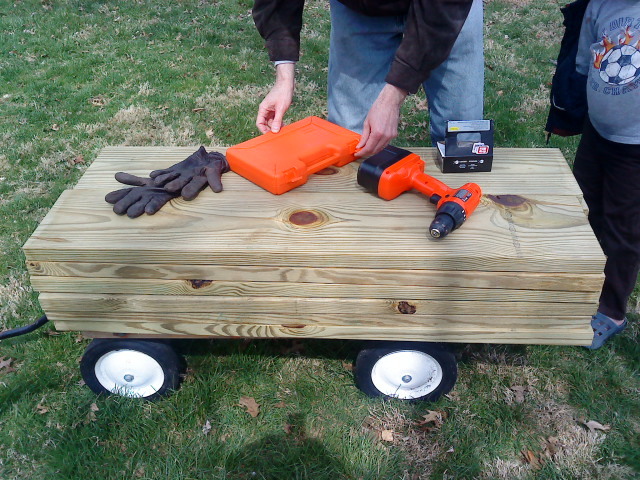 The configuration of the beds allows for our electric mower, easy movement for tending and harvesting, and the inclusion of several SIPs with herbs, flowers, etc. 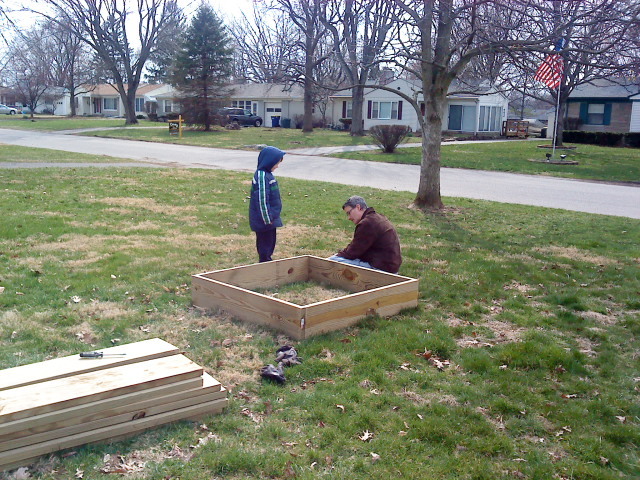 We’re going to wait to finish the enclosure until we get the compost and fill the beds. I purchased several seed varieties of vining flowers to pretty up the enclosure, though I don’t want to go overboard and block sunlight. Can’t you just picture us sitting by the garden after a long day with our summer cocktails, wild boys, the “girls” (our much-anticipated hens), and a lovely sunset?